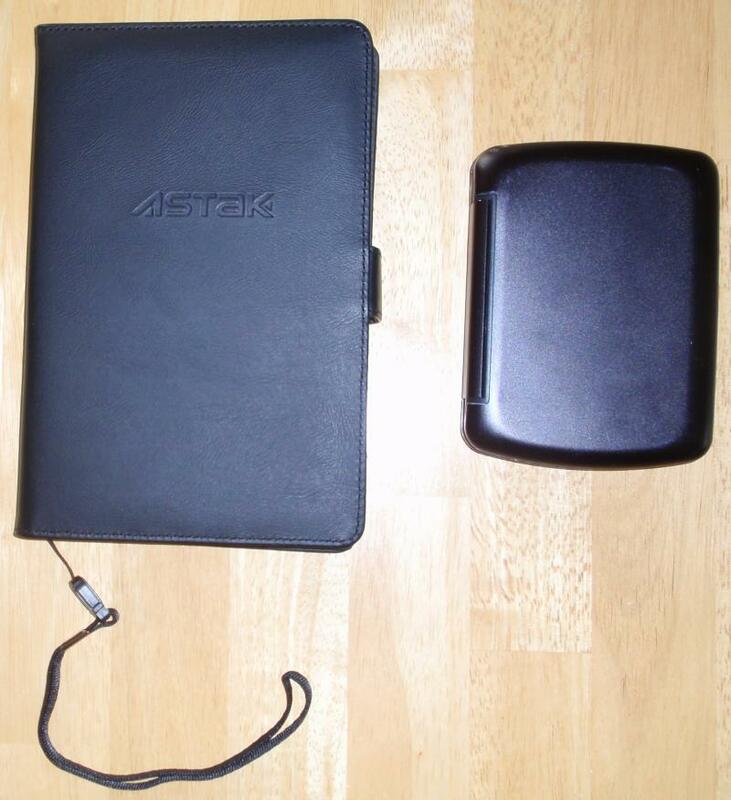 Last week I mentioned that I had ordered an Astak EZ Reader ebook reader (aka the Hanlin V3 and the BeBook). It arrived Friday, so I’ve had a few days to form some initial impressions. 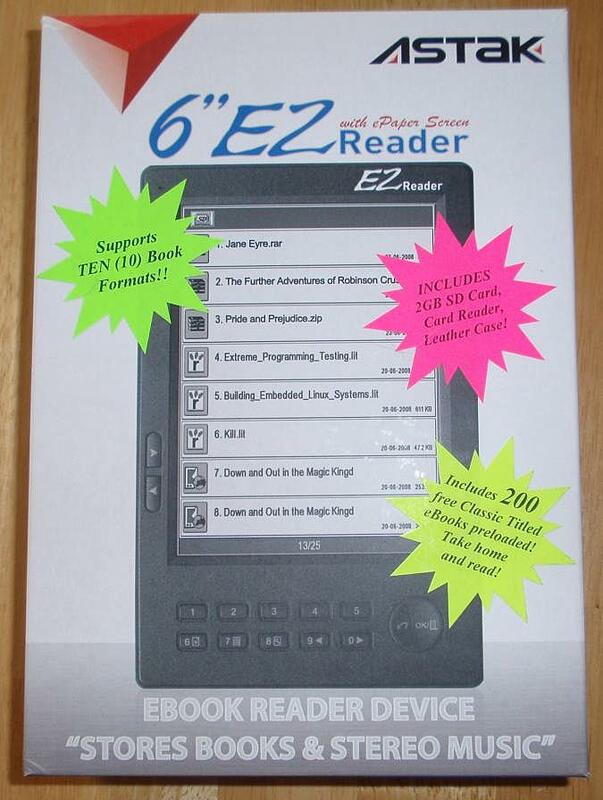 The EZ Reader has a 6″ screen and uses ePaper/eInk (as do most ebook readers). It’s definitely larger than my Palm Tungsten E2 (which is not a bad thing for reading). It came with the leather case, wrist strap, headphones (plays mp3s), charger and USB cable, and 2 gb SD card. None of my text comparison pictures turned out very well, alas. (Click on the pictures to enlarge any picture.) Not that you can tell, but the EZ Reader’s screen is, indeed, easy to read and easier on the eyes than the Palm’s screen. Plus the EZ Reader (like most other ebook readers) has several zoom levels. 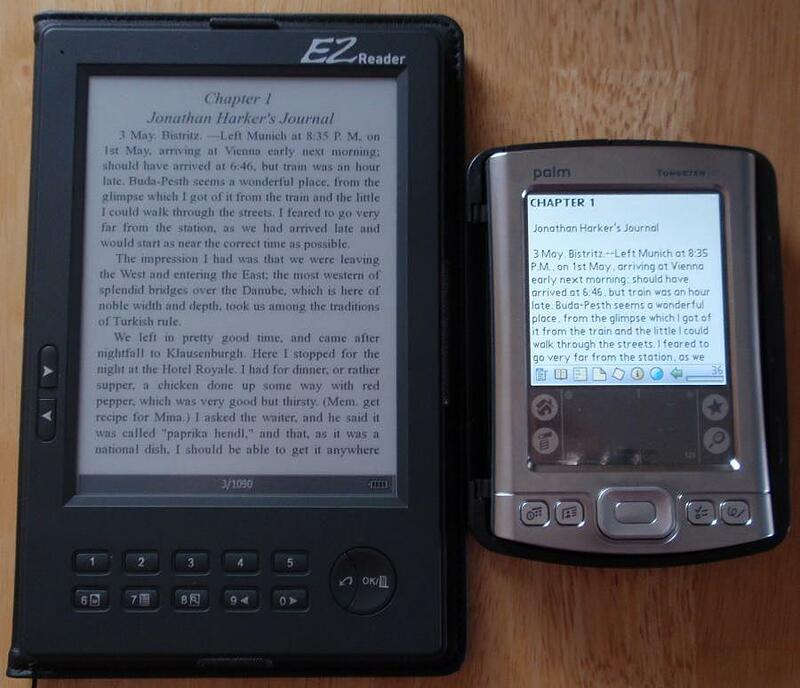 (You can see zoom examples in this comparison of the Kindle 2 and the EZ Reader.) You can also add and change fonts, which I’m sure I’ll find handy since I prefer reading serif fonts. 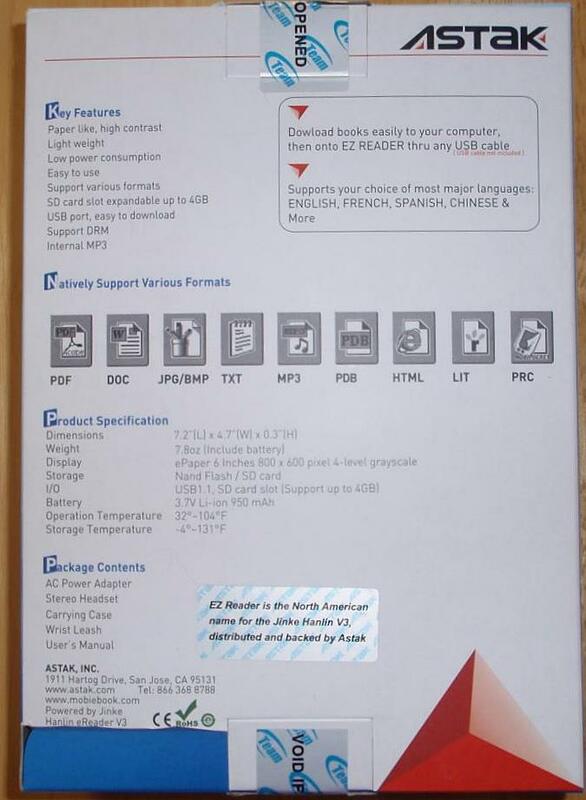 For example, in the upper right corner on the back of the box, it says “Download books easily to your computer, then onto EZ READER thru any USB cable. USB cable not included.” But… the USB cable is included, even if it isn’t mentioned on the package contents on the lower left corner! The front of the box (above) exuberantly notes that it “INCLUDES 2GB SD Card, Card Reader, Leather Case!” Hmm, no SD card reader, unless you mean… the EZ Reader itself? Oh, and definitely ignore the titles displayed on the EZ Reader pictured on the front of the box – although there’s no disclaimer, those titles aren’t among the free preloaded titles. Nope, not even Jane Eyre! Not everyone around here appreciated the box as much as I. Stay tuned in the days to come as I actually read a few books on the EZ Reader and compare the traditional and electronic reading experiences. Posted by Chris on Tuesday, April 7th, 2009, at 4:00 am, and filed under Reading. Congrats. Looks like a great toy even if the box was too darned small. Maybe Chaos will appreciate the box after he learns to read? 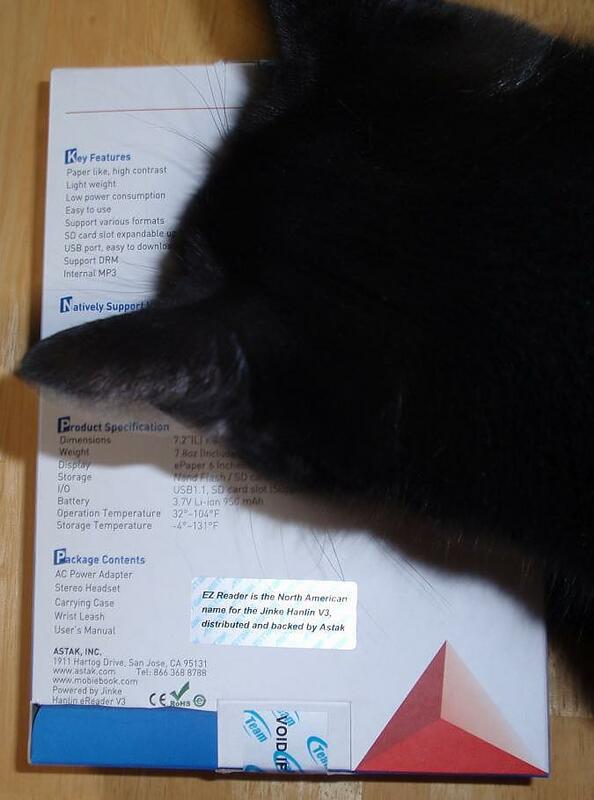 They just have to sniff everything, don’t they? LOL! Heh, that box is bizarre! Hope you enjoy the reader; I think it’d be useful in certain situations. That looks like a nifty gadget! I also find it interesting that you say you prefer to read serif fonts, and yet your blog is sans serif. 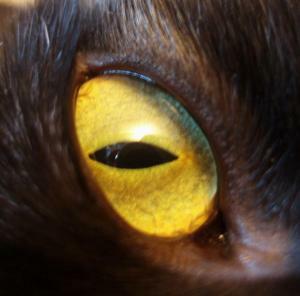 Hrm…. Hip hip hooray for e-readers! I read 5 books on mine during vacation!! Can’t wait to hear more. I love my iPod because I don’t need to read, but the EZ reader looks better than the kindle by far. Keep us posted how well it works for reading! I’ve been resistant to going digital, but the state of my bookshelves is beginning to change my mind. I’m curious to see how you like this…I find all of these book reader things to be quite interesting. Heh. I bet I could edit that manual in 25 minutes! I once bought something almost as much for the Engrish on the box as for the thing in it. Long live serif fonts! Much more readable. I hate trying to figure out if something is an l, 1, or I. Hee. See what I mean? P.P.S. At least with your blog font you can tell a “1” from an I or l.
So, you could transfer all your pdf knitting patterns to it, right? I might have to rethink this. How much does it weigh? Oh, and can it read the Amazon proprietary format books as well? OK, I’m with Lorette on this one. If I could have a portable device just to hold all of my knitting pdfs, so I could kill a few less trees by reading the instructions on the go. I miss my Treo… I never used it for the phone functions, but I got tired of carrying around 4 or 5 devices all over NE. I agree with Chaos that it is a lame box: too small for hiding and very poorly labeled. I think I am still too old-fashioned for ebook reading, but I will want to hear how you like yours. I am curious as to why your blog has a sans serif font if you like fonts with serifs. Interesting! 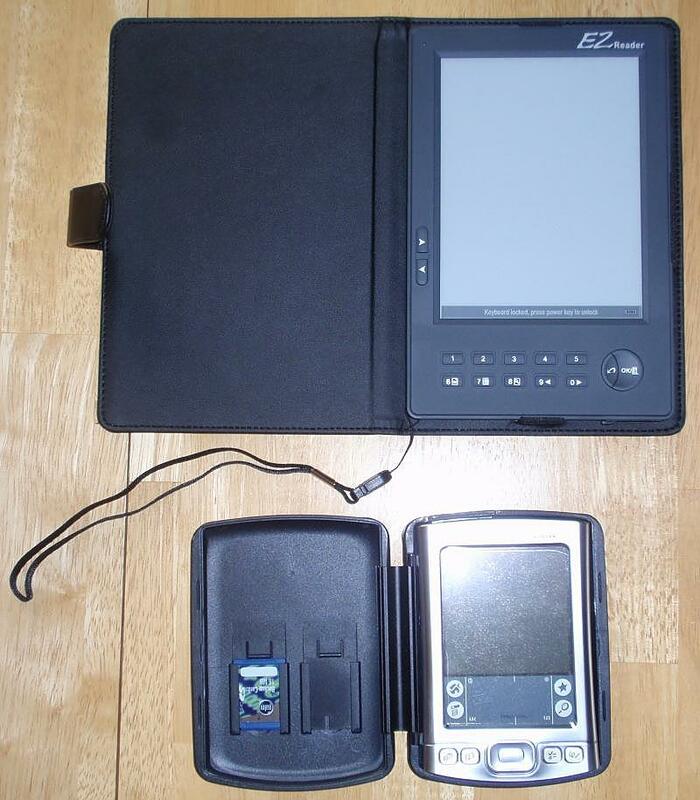 I had no idea what an e-reader even looked like. Okay, when you said you were buying a ebook thingie it made me consider one briefly. I’m still not convinced it is right for me, but I will be following your adventures with great interest. I <3 electronic gadgets. I also have a Tungsten E2 and I used to love to put my knitting patterns in it.. very handy for trips. I could see how reading a book on it would drive you a little batty.. not to mention that the battery life (on mine at least) isn’t that great. Bummer that I didn’t realize this existed when there were better sales going on… hmm. My husband could use a reader that doesn’t screw up PDF (we read a lot of journal articles, mainly, rather than books). That’s why we never invested in a Kindle – I mean, why bother? I’m not going to buy $10 ebooks when I’d rather just check them out from a library. That’s not very economical, really (unless you buy a ton of hardcovers…). Lotus says she would like to take a little bit outta your box there. Looks tasty! Do you prefer reading electronically? Engrish is such a great language… did I tell you about the Korean knife that came with instructions “keep out of children”? We had fun at the Japanese store yesterday. I love to see what they write in Engrish and how they describe things. I’m curious to see what you think. having just packed 4 hardcovers into a suitcase, I can see the benefit of a digital book. I have to say I love my Palm Tungsten E2. But I alos use it to keep my schedule,phone contacts etc. And it is handy at work when I am caught up, I pull it out and read a book, without looking like I am reading a book…. So what are your first books? Okay, I’m intrigued…it’ll be interesting to see how well you like it and how it holds up to your reading intensity. I’m intrigued too, I’m going to keep up with your tales on it, and see if it allows you to read as much as you do. Then I’ll prpbably get one. That box is, uh, interesting. 🙂 I’m interested to see how you like it. I used to have a Tungsten E2. It was handy for referring to small documents but I don’t think I would want to read a book on it. How neat! I’ll look forward to hearing how you get on.